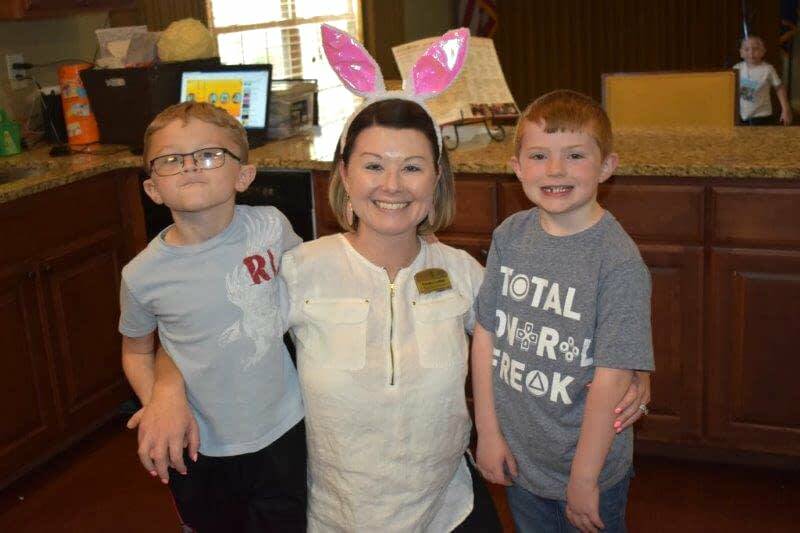 The Lantern at Morning Pointe Alzheimer’s Center of Excellence, Lexington (KY) executive director Brooke Griffith (center) gets into the springtime spirit with son Noah and friend at the Easter egg hunt hosted by the Morning Pointe of Lexington senior living campus. The Lantern at Morning Pointe Alzheimer’s Center of Excellence, Lexington (KY) resident Ruby Derringer gleefully watches a pair of kittens play as part of a Humane Society exhibition at a local Lexington PetSmart. 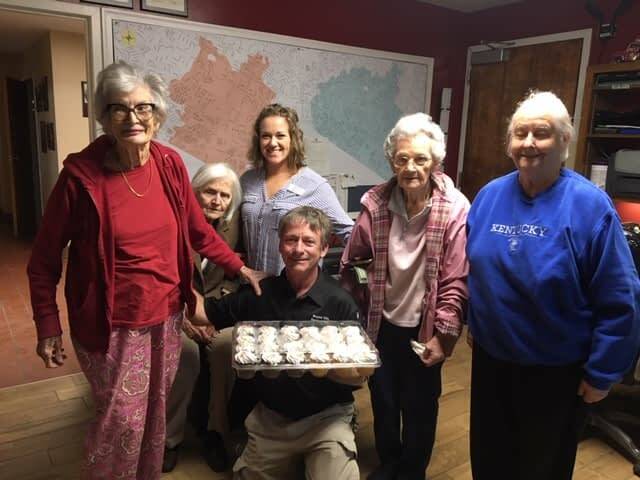 “We are so grateful to the men and women of the Lexington Fire Department for keeping our city safe!” says Molly Bode, the Lantern program director at the memory care community.